The title may sound a little strange but read on and it will make perfect sense. Let's talk about Peace and Calming. the first part of the post title. It is an Essential Oil that is limited and highly loved and whose name is quite appropriate. I love wearing it on my diffuser bracelet to bring about a sense of calm. Do you have kids? Use Peace and Calming for the same reason. It helps to promote relaxation and deep sense of peace and emotional well-being. Dampen your tension and uplift your spirit!! Massage it on the bottom of your feet for a wonderful prelude to a peaceful night's rest. To top it off, the scent is delicate with just a touch of sweet. Some even like to wear as a perfume!! Peace & Calming Essential Oil is a blend of Tangerine, Orange, Ylang Ylang, Patchouli and Blue Tansy. 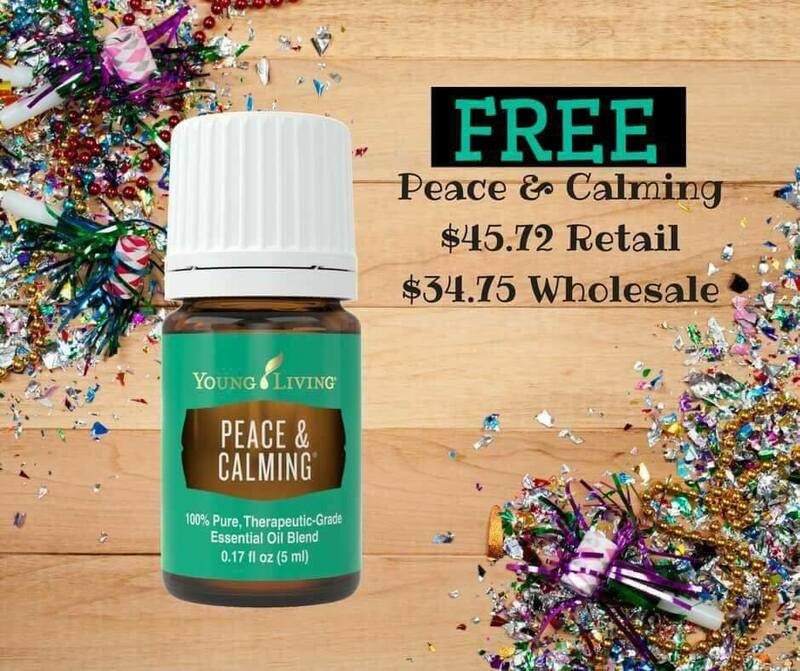 Now that you have learned a little about Peace & Calming you should know that you can earn a FREE bottle. How?? 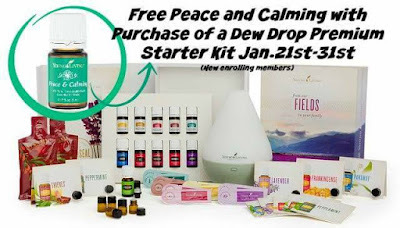 Become a NEW (that's part of the post title too) Young Living member before January 31st by purchasing the Premium Starter Kit (PSK) with the Dew Drop diffuser (shown below). It is THAT easy! Did you notice the 'Dew' as in Dew Drop diffuser That is the last part of the post title. Clever wasn't it?! The PSK is already a tremendous value. 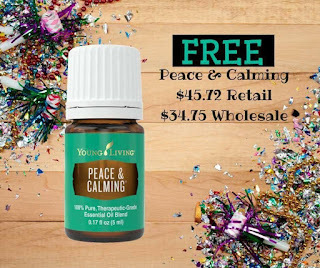 The retail value is over $300 and with a purchase price of $160 (plus tax and S & H) AND the free Peace & Calming, it becomes a monster value!! 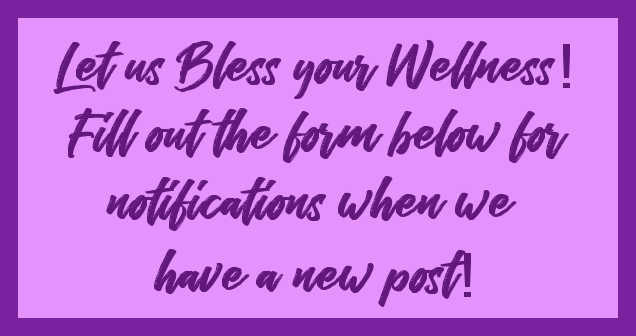 THEN, as a member in Ann or Leah's team, you are eligible to be a member of a tremendous Facebook resource group called A Drop A Day. It is a friendly group of over 1900 members, where successes are shared, ideas are hatched and questions are asked and answered about our oils. 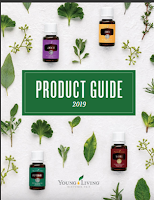 FINALLY, we have a special booklet in our welcome kit giving you 100's of ideas on how to use the oils in your starter kit. Your welcome kit will contain even more. 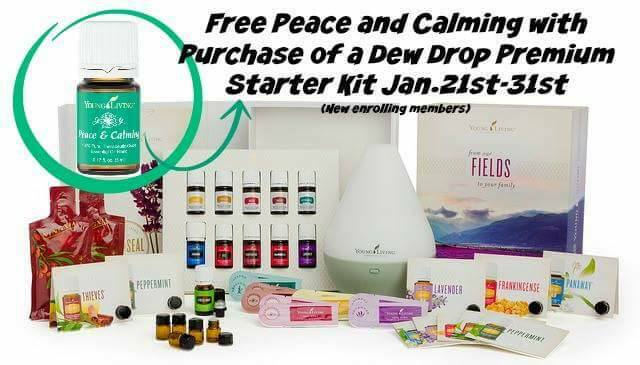 So, get your Peace and Calming when you are new with a Dew! **Your Social Security number will be required. Young Living is required by the Federal Government to obtain this number with their current business model for new members. As a new member you are part of the Young Living company!! (No sales are required) It is very exciting! Young Living just announced a new essential oil in their already extensive lineup. Can I hear a cheer of excitement? Are you ready? It is Sacred Sandalwood! 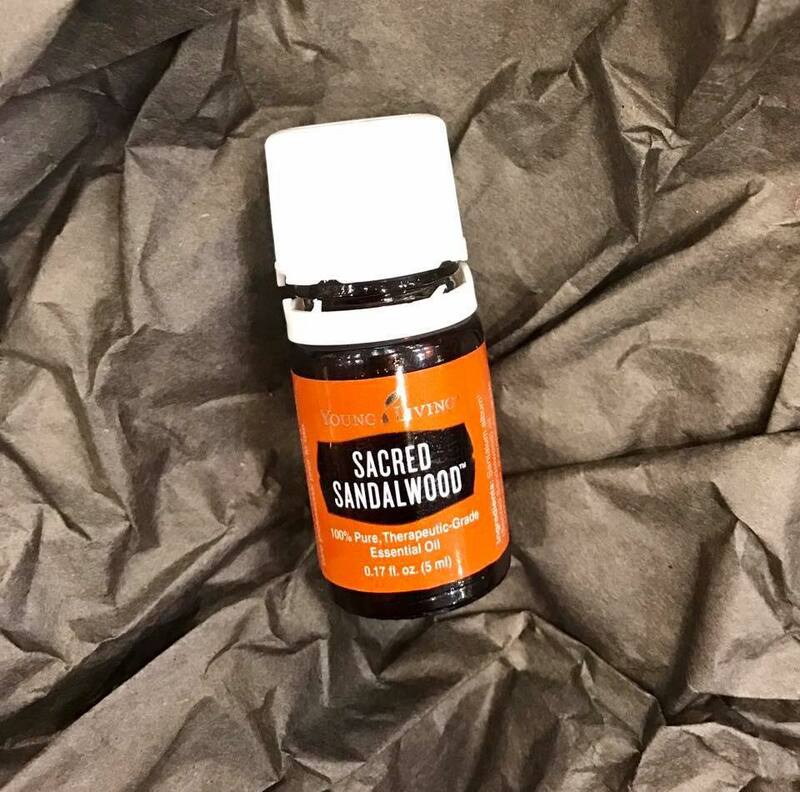 Sandalwood has always been a hard oil for Young Living to keep in stock. The availability has been sparce. NO MORE!! Young Living has a new partner farm in Perth, Australia who grows large amounts of Sandalwood so that stock shouldn't be an issue anymore!! This new offering is grown, harvested and distilled at the new farm. Used worldwide for spiritual ceremonies and meditation. This new oil will be available on January 23rd.